Shashi Tharoor's Photos With Shah Rukh Khan's Shrine In Kerala Prove He's A Jabra Fan Too! Shah Rukh Khan has been ruling Bollywood since his debut Deewana in 1992. From playing a romantic lover to a dangerous killer, SRK has done it all. Rightly and fondly addressed as the Badshah of Bollywood, he has been the favourite of many. We've wanted a coach like Kabir Khan in Chak De! 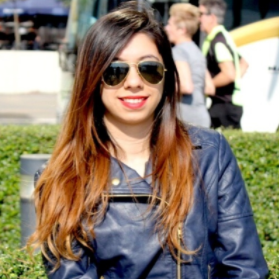 India and a therapist like Jehangir Khan in Dear Zindagi. His characters in Dilwale Dulhania Le Jayenge, Devdas, Kal Ho Na Ho, and Don have made a special place in our heart for him. King Khan is not only a good actor, but also a charmer with an impeccable sense of humour. SRK has diehard fans in the country and they go an extra mile for the actor. From coming to wish him on Eid to imitating him, they are always in awe of the Badshah. We saw one more proof today when a politician shared pictures of a shrine dedicated to the Zero actor. Recently, Shashi Tharoor took to Twitter to share that on a recent visit to Munnar, Kerala, he came across what is a 'shrine' to Shah Rukh Khan. He revealed how every wall of the room had been decorated with posters from the film Chennai Express. 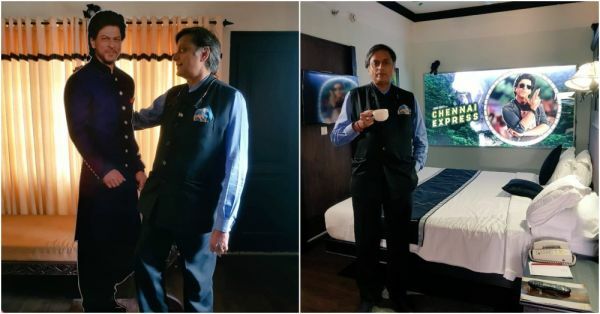 Tharoor went to Munnar and stayed in the same hotel room where SRK had during the filming of Chennai Express in 2013. A full room dedicated to SRK? Isn't that amazing? On the work front, King Khan is gearing up for Don 3 and what we hear is that Priyanka Chopra will not be a part of the film.